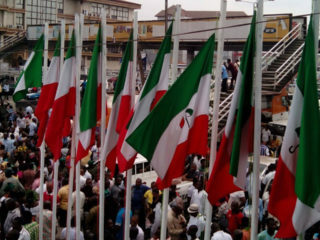 There is a growing disenchantment in the Peoples Democratic Party (PDP) in Enugu State ahead of the 2019 general elections. 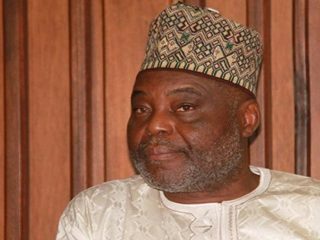 The party, which has held sway since 1999 in the state is on the brink of a major political crisis, following the desire of two-term members of the National Assembly from the state to retain their offices next year in defiance to the rotational arrangement. Sources close to the party in the state told The Guardian that the silence of the Governor Ifeanyi Ugwuanyi, who is also the leader of the party, to declare his position on the matter is fuelling the disenchantment. The PDP has supported rotation of elective political offices in the various constituencies in the state since 1999. This arrangement brought to power the former governor, Chimaroke Nnamani, who hails from Enugu East senatorial zone, and Sullivan Chime, who hails from Enugu West. Chime had on completion of his tenure also relinquished power to the incumbent, Ugwuanyi, a candidate from Enugu north senatorial zone. If that order is not truncated, Enugu east is expected to produce the next governor in 2023. While this arrangement has worked for the party, especially in the selection process for governorship position, the same cannot be said for the National Assembly election in the state. An attempt to reverse this trend during the last administration caused crisis that almost engulfed the party in the state. Chime once mooted the idea that those who had done two terms should allow others try their luck. He said such practice would encourage greater participation and promote sense of belonging. Hence, he advised all serving members of the party at various levels that had done two terms to prepare to retire with him in 2015 and allow the new set of people. He had barely finished the statement when those affected opposed him, despite the support of the party leaders. Politicians at the National Assembly including a few at the State Assembly ganged up and formed a parallel executive. The interplay of power that erupted nearly whittled the chances of the party in the 2015 general elections. In the build up to the 2019 general elections, the issue again has resurfaced. Lawmakers who already have served two terms and beyond have returned to the trenches together with other members of the party in their quest to continue in office. The list includes Deputy President of Senate, Ike Ekweremadu, who has held the senatorial seat for Enugu West constituency since 2003. The Senator who hails from Aninri is representing the Senatorial district made up of five local government councils including Aninri, Awgu, Oji River, Udi and Ezeagu. By 2019, he would have spent 16 years in the senate. The other is Senator Gilbert Nnaji from Enugu east where, who will be completing two terms by 2019. The constituency is made up of six local government councils that include Enugu east, Isiuzo, Enugu south, Enugu north, Nkanu east and Nkanu West. Nnaji, prior to this time, was a member of the House of Representatives for eight years. While Ekweremadu will be seeking his fifth term, Nnaji wants to return for the third term. The rest are Toby Okechukwu of Oji River/Awgu/Aninri Federal constituency who already has spent eight years, and desiring to continue by 2019; Kingsley Ebenyi, who represents Isiuzo/Enugu east Federal Constituency. He desires to continue in 2019 after serving eight years; same for Mrs. Stella Ngwu of Uzouwani/Igboetiti, and Dr Patrick Asadu of Nsukka/Igboeze south federal constituency, who has served fo12 years and desires to continue in 2019. In the unfolding debacle, the affected lawmakers, now described as ‘sit tight politicians’ are pulling resources and contacts to cajole those opposed to them into submission. The “sit-tight lawmakers” used the Easter celebrations to re-launch their bid to retain their seats beyond 2019. Many of them have reactivated empowerment programmes, which fizzled out after the last general elections and engaged in consultations and meetings to the surprise of party members. This development has generated protests against the ‘sit-tight’ syndrome in the party. Asadu had at a function earlier announced his intention to continue to represent the people of the two council areas and mandated all its stakeholders to ensure every eligible voter registered in the ongoing voters registration exercise. The decision was said to have jolted those at the function. Next day, the people went to the street with posters, screaming “Nsukka say no to Asadu’s 4th term”. The protesters did not only allege under representation by the legislator, they said he is using his financial muscle to alter the unwritten political arrangement of “turn by turn” that has been in place between Igboeze south and Nsukka Federal Constituency. The Guardian learnt that the disgruntled members of the party have perfected plans to replicate the Asadu’s treatment in other constituencies. 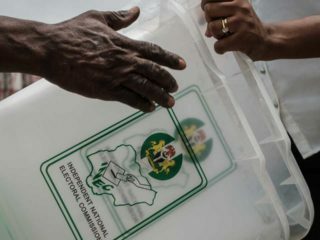 The source, an official of the party in the local government said the continued occupation of the seat by Okechukwu is marginalizing and disruptive of the rotation arrangement. “Oji River has been seriously sidelined despite our contributions to the state,” they said. While the protest rages, the state chapter appears to be watching from the sidelines as its officials would not comment on the matter. Justifying the position of the sit-tight lawmakers, Ikenna Ugwu, a party leader in the state, said eight years was not enough to bring about the required experience needed in politics. He cited the Igbo Etiti/Uzo Uwani Federal Constituency where the legislator hails from Igboetiti and the Senator from Uzouwani, stressing that, “The only areas that should complain now should be Nsukka people among the people of Enugu north senatorial zone. 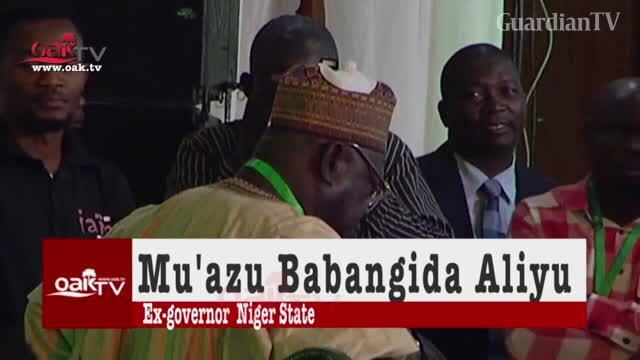 Ugwu said Governor Ugwuanyi would “probably not have become the governor of the state if he had not represented his Udenu/Igboeze north for 12 years at the House of Representatives. A member of the PDP’s Youth Alliance, Orji Kelechukwu said poor representation and communication gap were responsible for the protests. “A situation where a lawmaker will return in an election year to start sharing salt, rice and what have you is not the reason why he or she was elected. There should be opportunity for exchange and interactions to enable anybody elected by the people to feel their pulse. People cannot give you vote and you abandon them and return when you want them to vote again. If we have a situation where performance is measured against the brigandage in the party, it will help curb the agitation. But as far as we place money before anything else, the protests will continue,” he said. He called on the leadership of the party to put in motion machineries that could help curb the agitations and pacify those angling for opportunities. “It looks like many members of the party are no longer comfortable that they are subdued at every election by the sit-tight attitude of some members. We should not forget that the patience being shown by many could expire one day and it will not be in the interest of the party,” he said.